ICS Electronics Specialises in the Provision of Shore-Based Marine Communications Solutions. ICS specialise in the provision of shore based communications solutions reflected in the company structure and core skills sets of the staff. We offer full turn-key solutions from the Antenna to the Operator and everything in between. Solutions have included single operator GMDSS DSC systems to full coastal coverage for compliance with A1, A2, A3 and A4 sea areas. Centered on the Global Maritime Distress Safety System (GMDSS) our V4 Marine Communications System offers a range of equipment, procedures and protocols that are integrated into a single system. From the start it has been specifically designed for marine communications therefore does not have wasted or redundant features and functions as spill over from generic core components. 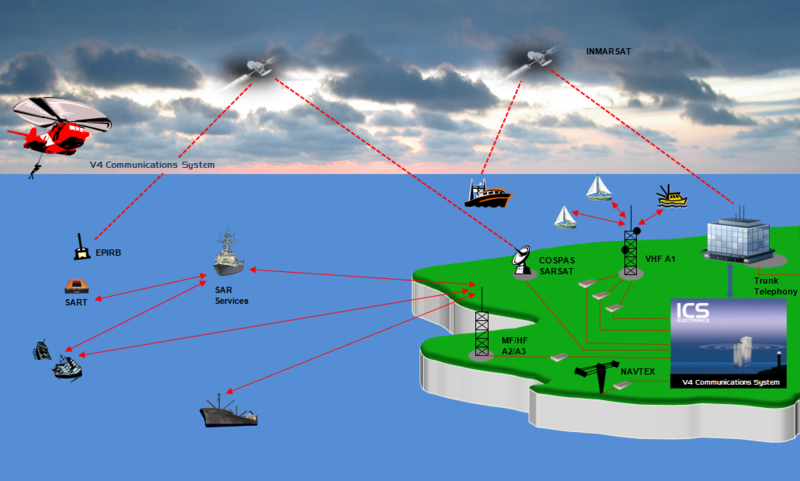 All relevant and current operational and procedures are integrated into the system’s features and functions, helping improve operator effciency and performance whilist minimising the risk of contravening accepted rules of marine communications.